Ships today if ordered in the next 10 hours and 21 minutes! The real pleasures of an aquarium are often overshadowed by the struggle of upkeep. Worse yet, aquatic animals are unnecessarily sacrificed everyday when parameters like temperature drift into lethal ranges due to failed equipment or other mishaps. A proper monitoring and control system for your aquarium solves both these problems. And while the Apex has been out for years, we wanted to create a more affordable, entry-level model for our customers – this is the ApexEL. A perfect example of this is that unlike other cloud-based IoT devices or aquarium controllers, every ApexEL has a built in web-server (tech talk for its control software and built-in web interface) with complete functionality – even if the internet is down! This is important, see why. 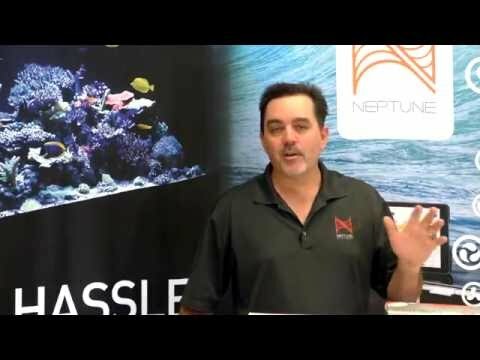 . .
Let’s say you have a power outage and want your aquarium to take the appropriate actions to maintain the fish and corals for the longest time possible. Or, what if the internet is down (or a company’s cloud servers) and you simply want to manually turn on your lights or turn off your skimmer. Some aquarium devices work ONLY via their online cloud service, so when the internet is down or slow, you are out of luck. With the ApexEL, even if the internet is down, your tank will continue operating without interruption and you still can have complete control locally from your mobile device. When we decided to create an Energy Bar for this new Apex, we designed it from the ground up. Not only does the Energy Bar 832 have eight 120V AC outlets, but it includes an internal 100W 24VDC power supply as well. That power supply feeds three built-in 1LINK ports as well as two 24VDC accessory ports. And, each individual outlet has independent power monitoring and there are individual LED indicators for each outlet. Read on and watch the videos for more info. I wish they had this version available two years ago when I made the jump to reefing. I installed the ApexEL to replace a "competitors" system that never did do what it was supposed to despite my best efforts. The ApexEL system was SOOO much easier to set up and best of all it actually does what it is advertised to do and does it well! The hardest part of the install was sorting out and untangling a rats nest of cords and cables formed over two years of adding and removing various gadgets and goodies and weaving their wiring in and out to connect to the outlet strips and power bars under the tank. Think last years Christmas lights and you'll have some idea of the mess I was dealing with LOL.